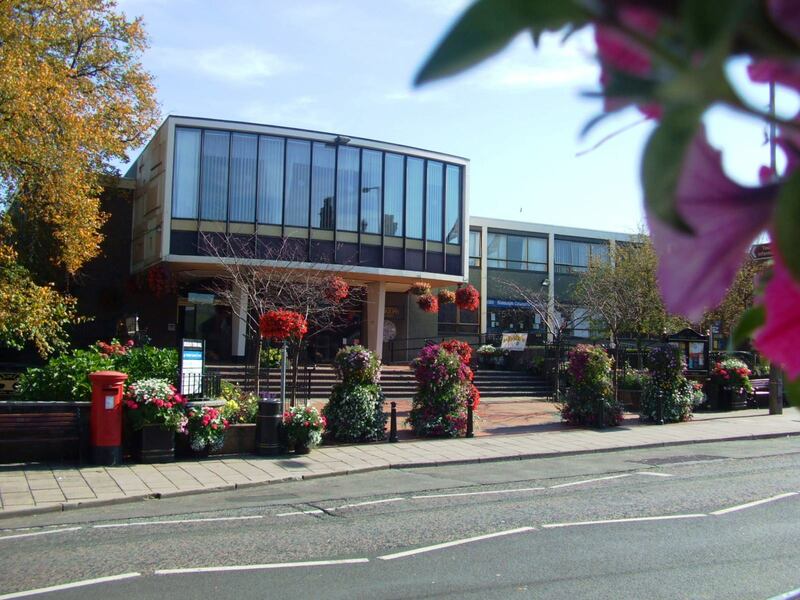 Staffordshire Moorlands District Council has agreed to invest more than £300,000 on Biddulph Town Hall following complaints about conditions of the venue. Biddulph Town Hall is owned and managed by Staffordshire Moorlands DC and is used as a Council Chamber; for public functions, community events and activities; and is a working town hall with office accomodation, which includes the police. In 2014 the police notified SMDC that their current office accomodation within Biddulph Town Hall was not fit for purpose which led to council officials examining the building to come up with better designs to maximize the potential of the Town Hall and to retain the police as tenants. The police leaving would mean an annual loss of income of £41,190 which would greatly increase the overall contribution the council would have to make to the annual running costs and may even have led to Biddulph losing the town hall. Now the council has agreed to invest £205,000 – in addition to £100,000 from Staffordshire Police – to relocating the officers from the second floor to the ground floor and incorporating the Council Connect service into the existing foyer, creating better working conditions, improve partnership working and provide suitable facilities for all using the front counter. Having the police in a prominent town centre location also contributes to the reduction of anti social behaviour and provides a reasssuring and visible presence in a high profile location. The agreement between Staffordshire’s Police and Crime Commissioner, Matthew Ellis, and the district council will mean that the future of Biddulph Town Hall will be secure. Council Leader Sybil Ralphs said: “I hope local people will be pleased, the agreement we’ve reached provides for significant modernisation meaning the police will at last have accommodation that is fit for purpose. It will allow continued operation from the heart of the town while helping financially to secure the future of the Town Council building. I’m delighted.” Mr Ellis said: “This is an excellent outcome for policing, the Town and District Councils and local people. This is a great example of joined up problem solving between public services. It means public protection arrangements between police and social services which have worked so well because of co-location will continue and it also represents good value for money for all concerned.